The positioning of temporary road signs and overspill from materials stored on coned-off areas can create hazards for motorcyclists when negotiating road works. Poor reinstatement of road surfaces (temporary or otherwise) can pose severe stability problems to riders, especially at low speed. 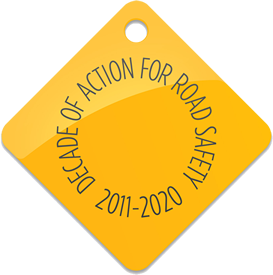 Local authorities should use their powers under the New Roads and Street Works Act (1992) and the Traffic Management Act (2004) to ensure work conforms to the associated code of practice. Areas of sub-standard road lighting can present more risks during road works. Missing or defective lighting should be repaired before work commences. VicRoads, the road and traffic authority in the state of Victoria, Australia, has developed a series of seminars and associated materials called Making Roads Motorcycle Friendly (MRMF). The seminars are targeted at local government and VicRoads staff in all areas of design but, in particular, maintenance operators, construction contractors, and utility providers. View the VicRoads Making Roads Motorcycle Friendly video online.